Life and science go on aboard the International Space Station despite last week’s failed launch when an anomaly with the Soyuz booster a few minutes after liftoff forced an emergency landing of the Soyuz spacecraft. Russian cosmonaut Alexei Ovchinin and NASA astronaut Nick Hague have already traveled back to Star City, near Moscow, from Kazakhstan. ESA astronaut Alexander Gerst and his crewmates are moving on with the tasks ahead on the International Space Station. The crew have plenty of supplies to continue operating the Space Station on their own. International Space Station partners are holding meetings to reshuffle the tasks for the three astronauts in space. One of the most immediate impacts is the postponement of the two planned spacewalks. Nick Hague was supposed to join Alexander for both spacewalks but with Nick still on Earth new spacewalk dates are under discussion. Alexander continued installing ESA’s next-generation life support system on the Space Station that will recycle carbon dioxide into oxygen. Learn more about this new Advanced Closed Loop System with this infographic. Alexander set up connections and installed the air and water drawer of this system with the help of mobiPV, short for Mobile Procedure Viewer. 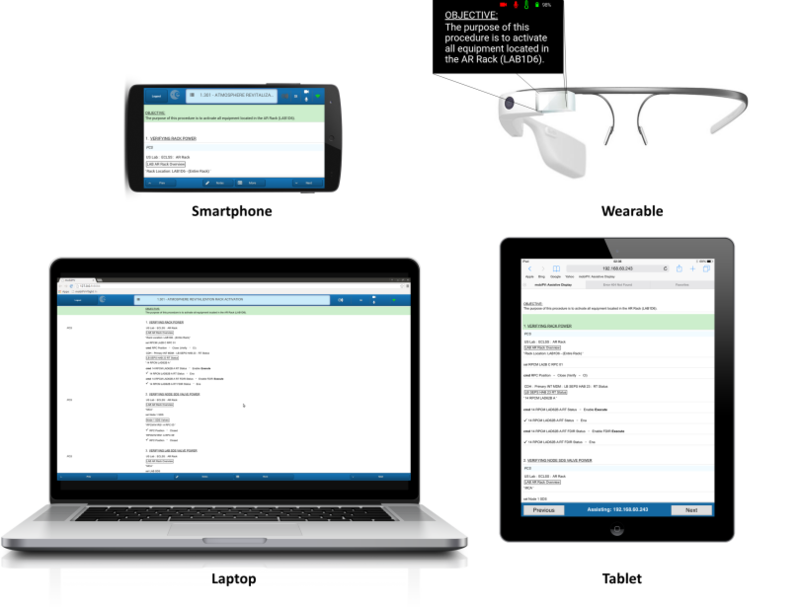 With a smartphone donned on the wrist and an iPad strapped on his leg, he could easily perform manual tasks hands-free while following procedures on-the-go instead of checking a laptop at a fixed location. Astronauts experience muscle weakening in space and when they return to living with the effects of Earth’s gravity after a mission, it takes a few months to recover muscle tone. 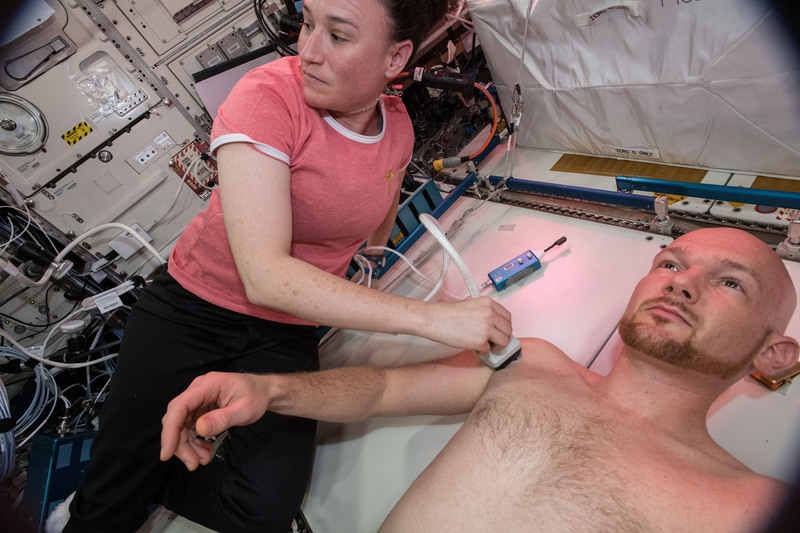 The Myotones experiment monitors the muscle tone, stiffness and elasticity of Alexander’s muscles with a non-invasive, portable device on the Space Station. Last week saw him run the third session of this experiment in space, which will be followed by another four sessions on Earth. Alexander is the first of 12 astronauts to take part in the experiment. Measurements from the back, arms and legs will be compared with measurements before and after the spaceflight to help identify the best countermeasures. This research could improve the lives of many people affected by strained muscles. The device is already used on Earth as an alternative to muscle biopsies. 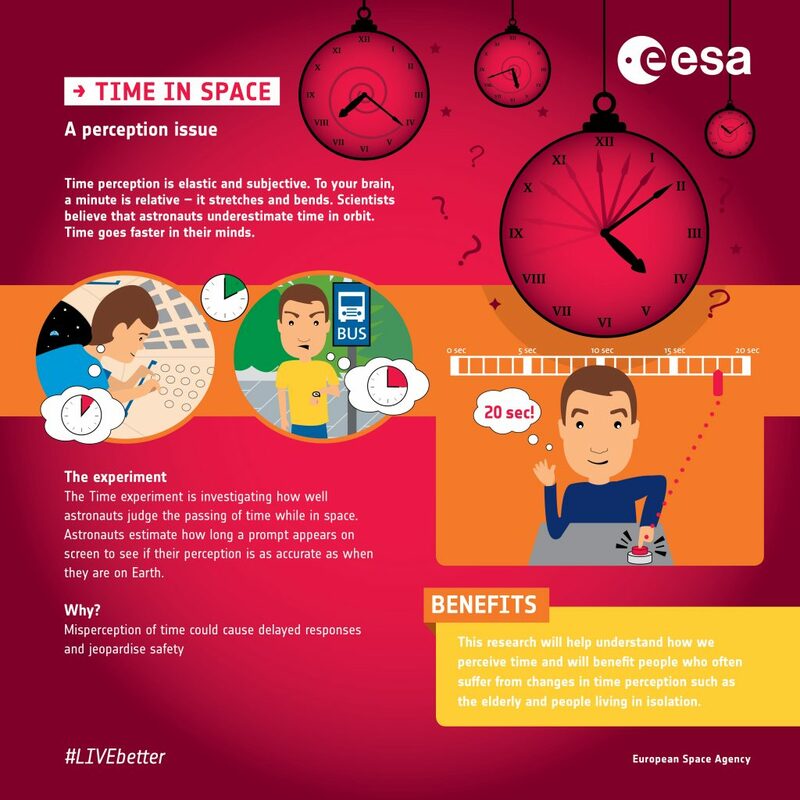 How long does a minute last in space? Time perception is subjective – it stretches and bends. 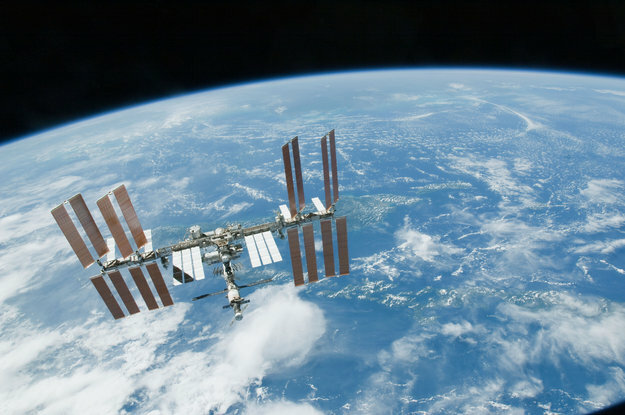 Scientists believe that astronauts underestimate time in orbit, just as they have an altered perception of distance in space. Mental representations of space and time are believed to share the same neural networks. Alexander ran his fifth session of the ‘Time’ experiment to judge how fast time flies in space. Astronauts gauge how long a visual target appears on screen and their reaction times to these prompts are recorded to process speed and attention. Alexander estimated his reaction times throughout the mission as well as recording the actual reaction times to see how they differ. This is important because a misperception of time could cause delayed responses that influence crew safety. Learning more about the subjective perception of time and how to deal with it could improve the lives of those who suffer from isolation or confinement, whether real or perceived: the elderly and bedridden, people working shifts or in isolation, mentally-ill patients, and the incarcerated. I am working with US lots of years in different musculosceletal topics as a specialist. There is another option which could have a big added value to what you´re doing at the moment. It is possible to measure different parameters like muscle quality index (SMQI)…SMQi gives a score from 0 to 100; and quantifies muscle quality in regard to Histology and morphology. There are simple post processing modes to scale glycogen storage (muscle health, fuel rating), possibilities to score body composition, check recovery, start rehab…all you need is a philips lumify and a special software. There are a lot possibilities and big potential.